Lincoln Hawk: I always wanted to be a milk shake. 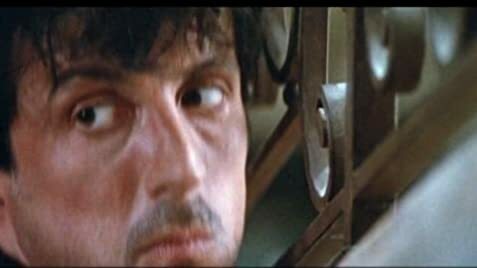 This film is all about the thrill of seeing Stallone reveal his more 'sensitive' side. Not to mention the great scenes where he works out the rippling biceps of his 'wrestling arm' using an ingenious hand-weight pulley system in the cab of his truck. Sure it's cheesy, but this film does what any good 80s movie should. The part where he turns his cap backwards before a wrestling match is a highlight, symbolising some kind of metamorphosis from sensitive dad to macho man. What a great flick! 34 of 39 people found this review helpful. Was this review helpful to you?